The dumping of vast amounts of rubbish by visitors to one of the country's most scenic lakes has shocked the iwi which manages it, and prompted calls to crack down on unruly behaviour in the area. There have even been calls on social media for Lake Waikaremoana, in Te Urewera region, to be closed to visitors if things do not improve. But Ngāi Tūhoe says policing the area will do little to stop the disrespect and instead wants to appeal to people's common sense and decency to curb the issues. The lake, between Taupō and Gisborne, has become increasingly popular with tourists due to the Lake Waikaremoana Great Walk, one of the great walks of New Zealand. In 2017, Ngāi Tūhoe took over management of the former national park from the Department of Conservation, as part of a Treaty settlement. Lake Waikaremoana in the Te Urewera region. The lake was formed by a landslide more than 2000 years ago. Tāmati Kruger, chairman of the Te Urewera Board and Tūhoe Te Uru Taumatua, said the iwi was "astonished" at the severity of the dumpings and vandalism at the lake this summer. The issue wasn't new, however the extent this year had "shocked" them, he said. "There is a huge distance between one's love of nature, one's love of Te Urewera, and actually living the behaviours and practices which meet that standard." A Waikaremoana Holiday Park spokeswoman said the park's entire team had recently collected "quite a few tonnes" of rubbish, and disposed of it. Kruger said rather than the iwi acting as "the park ranger and as the police", it was about working with groups who used the lake to understand the principles of good, respectful, "commonsense" behaviour. "We'd like to work that way rather than dish out a set of rules by which people then feel obliged to follow ... 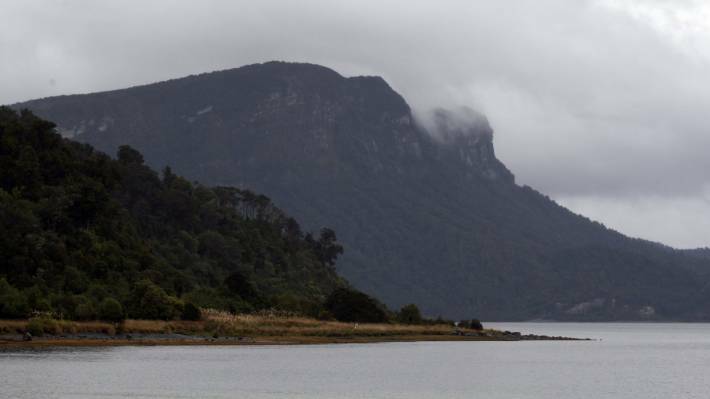 If they love nature, they love Lake Waikaremoana, they will just not do those things." Florence Karaitiana, whose whakapapa is Ngāti Ruapani and visited the lake often as a child, said the vandalism was "absolutely shocking". "I don't think it'd be the locals because I haven't heard of much vandalism going on before to the degree it's at now ... It needs to be monitored regularly by the whānau that are living there," Karaitiana said. "It's just going to keep carrying on unless they do something serious ... They need to put things in place before it gets out of hand." 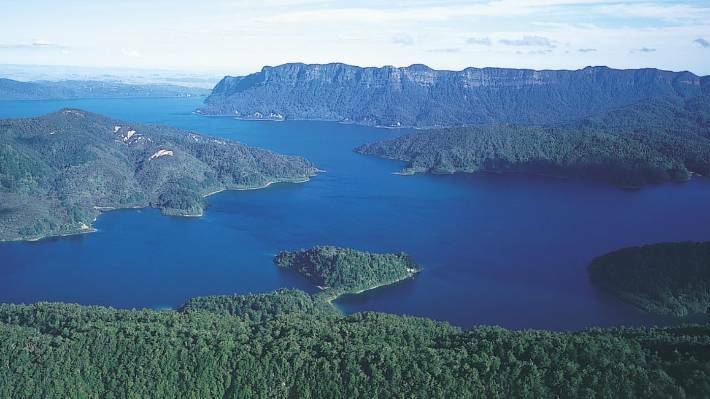 Heavily forested inlets and bays of Lake Waikaremoana. Rubbish dumping by out-of-towners has been much worse this summer, Ngāi Tūhoe says. Laura, who declined to give her surname, camps at the lake every summer. She said her whānau, who are involved in the Waikaremoana Boating Association, were "all really concerned" about the lake's future. Tūhoe should impose restrictions for everyone which were "specific, clear and widely known so there is no more confusion", she said. When the lake was previously regulated by DOC, there were "very specific rules and guidelines", which had changed under iwi management. 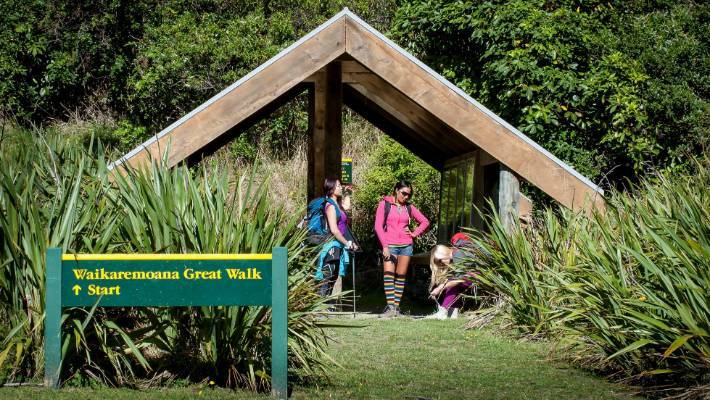 The Lake Waikaremoana Great Walk is a popular 44-kilometre walk. The iwi needed to be accountable for the area's wellbeing, she said. "It is one of the most magic places in [New Zealand] and DOC have shown it can be open to all and well managed." A DOC spokeswoman said it wouldn't be appropriate to comment given the department no longer managed the area. Kruger said subscribing to a set of rules then penalising those who didn't comply, "contributes nothing to learning and improving behaviour over time". 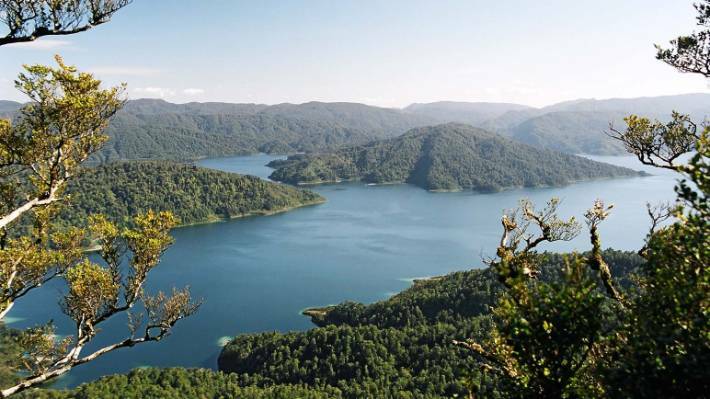 Lake Waikaremoana has disputed ownership; with Tūhoe, Ruapani, and Kahungunu contesting ownership of the Waikaremoana basin and tribal boundaries. The Ngāi Tūhoe iwi says acting as police officers will not do anything to curb behaviour over time. Pictured, Lake Waikaremoana.